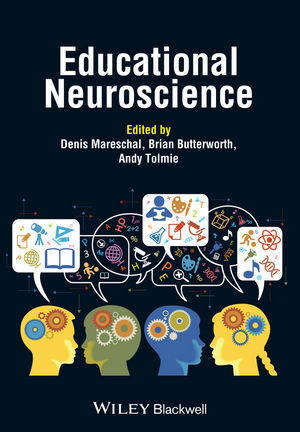 Educational Neuroscience presents a series of readings from educators, psychologists, and neuroscientists that explore the latest findings in developmental cognitive neurosciences and their potential applications to education. Denis Mareschal is Professor of Psychology at Birkbeck, University of London. He is co-author and co-editor of Neuroconstructivism: How the Brain Constructs Cognition and The Making of Human Concepts, and Joint Editor of Developmental Science. Andy Tolmie is Chair of Psychology and Human Development and Dean of the Doctoral School at the Institute of Education, Deputy Director of the London Centre for Educational Neuroscience, and Editor of the British Journal of Educational Psychology. Brian Butterworth is Emeritus Professor of Cognitive Neuropsychology in the Institute of Cognitive Neuroscience at University College London, and founding chair of the London Centre for Education Neuroscience. He is the author of The Mathematical Brain (1999).